Fritz Lang’s Spione starts with a bang and rarely lets up. Documents are stolen, couriers assassinated, there’s a motorcycle chase and all hell breaks lose at the Ministry of War, yelling and shouting that something must be done. The frenetic excitement of the opening minutes and much of the unflagging two and a half hours of glorious entertainment that follow suggest a conscious need to please, divert and thrill. For Lang, the film was a return to familiar territory. Following the grandiose and financially disastrous Metropolis, the 38-year-old director found himself besieged. His studio, UFA, wanted to dump the blame for the disaster onto him and get rid of him, and there was undoubtedly the anxiety that he had lost his touch, lost his ability to pull in an audience. Harking back to his earlier work, Spione was ‘a small film, with plenty of action’ as Lang himself described it. Based on a screenplay by his wife Thea von Harbou, the story revolves around a Mabuse-like super-criminal, Haghi (played by Mabuse actor and Harbou’s former husband Rudolf Klein-Rogge). Haghi sports a Lenin beard, smokes cigarettes that must taste of brimstone and perfidy, and sits in a wheelchair in his secret lair located in an important bank. Ranged against him are the inept and bureaucratic government agencies, who are largely played for laughs with red-faced confusion and a lot of harrumphing from Jason (Craighall Sherry), the head of the agency tasked with bringing Haghi to justice. If anything is to be done it will be thanks to the agent known only as Number 326 (Willy Fritsch). Initially a streetwise tramp, 326 quickly sheds his disguise to become a dapper gentleman, but his cover is already blown and Sonja Baranilkowa (Gerda Maurus), one of Haghi’s agents, has been sent to seduce and compromise him. However, Haghi didn’t bank on Sonja and 326 falling in love. Lang keeps everything going at a hell of a pace and there are a number of stunning set-pieces. His universe is one of detail, and he litters the film with scraps of information, numbers and names, a puzzle to be unpicked, but the meaning of which, or even the existence of meaning, remains unclear. Haghi’s power is facilitated by the corruption of the society he seeks to destroy. Not only is its elite ripe for extortion – a wealthy society girl is blackmailed because of her opium habit, inscrutable Japanese spy Akira Masimoto (Lupu Pick) falls for a rain-sodden waif – but its institutions are inept and blustering and deskbound. Whereas Haghi has a nicely minimalist control panel and a telephone, Jason et al are buried under mounds of paperwork. Haghi himself, though, represents a paradox, one perhaps that lies at the heart of all conspiracy theories. If this master criminal is so powerful, with his massive infrastructure and his metaphorical tentacles stretching, his obvious wealth and endless resources as the director of a bank, then what does he hope to gain by all this convoluted plotting? This point is made all the weirder when he reveals that he doesn’t even need a wheelchair. Why go to the bother and discomfort of pretending to be an invalid? As William S. Burroughs might have observed, we are all controlled by our need to control. Ultimately, Fritz Lang’s film is a thrilling entertainment, whose inventiveness is evident in every scene, almost every shot. Twists can happen on every level, from the narrative to something as simple as a location. A brutal fight in a boxing ring is revealed to be incongruously and brilliantly taking place in a nightclub. The details – a bloody hand print on a stolen document – tell a whole story, and his characters are drawn with a variety of techniques, from naturalism to heightened theatricality. 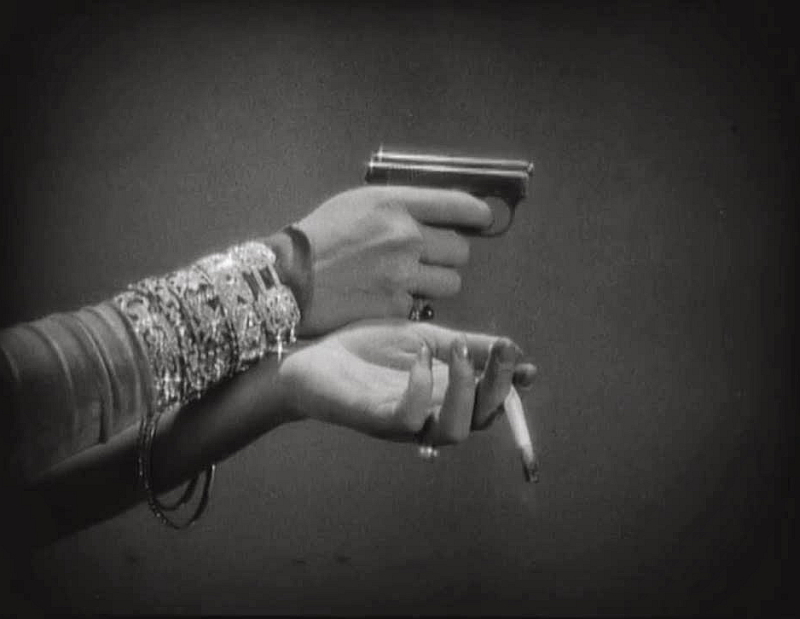 As Adrian Martin notes in his brilliant essay on the film, everyone smokes in a highly individual way. Of course it is difficult to watch pre-war German cinema without glimpsing foreshadowing and prophecies for what is yet to come, but this restored and re-mastered version will now allow everyone to experience this world at its darkest and brightest. Eureka’s Masters of Cinema dual format release of Spione comes with a 69-minute documentary on the film and a 40-page booklet including new and exclusive writing by critic Murielle Joudet and an essay by Jonathan Rosenbaum. Ulrich Seidl likes to go where it hurts and, over the last 35 years, he’s been there and back again many times in his relentless attempt to explore the murkier depths and chasms of Austrian society. Sometimes he digs deeper than anyone else would dare, as in his 1994 documentary Animal Love (Tierische Liebe), in which he portrayed a number of Viennese residents who turn to their animals for affection and more. At other times, such as in his most recent Paradise trilogy, he uses fictional settings and stories to sting, invade and undermine the human psyche and the terrifying obsessions and perversions it can nurture, fiercely drawing out patterns of social behaviour that range from the mundane to the extreme. In his latest documentary, In the Basement, he sets out to investigate what’s happening in Austrian cellars and what kind of relationship the often dubious owners have with their precious spaces underground. And as one would expect from a Seidl film, what he finds is a bunch of rather obscure characters, framed and juxtaposed in carefully arranged single-take shots with non-judgemental compassion, who (at least partially) seem almost desperate to step out of the shade and into the spotlight of his honest, vigilant camera. Among the most memorable are a failed opera singer who has turned his cellar into a fully operational underground shooting range; a devoted Nazi and his memorabilia cabinet; the inhabitants of professional and private SM-studios; and the ‘mommy’ of shockingly natural-looking baby dolls stored in shoe boxes. The portraits are filmed in typical, tableau-like perfection, mocking both the protagonists within the film and the act of documentary filmmaking itself. To some extent, In the Basement is crafted in the same way that John Waters created Shock Value, an often fascinating, frequently creepy, unashamedly funny compilation of oddities and curiosities that are occasionally hard to digest. And yet, over the course of the film you begin to wonder whether there is anything new, anything unique being said here that couldn’t be found elsewhere. Still, what becomes clear after watching In the Basement is that even after more than three decades of arduous research, Seidl doesn’t seem to run short of impaired souls to explore and portray in his films, and his combination of grotesque rituals with tragic comedy is handled with an increasingly deft balance of wit, irony and candour in almost every work he produces. And even if the film makes no direct connection to the case of Joseph Fritzl – the Austrian who kept his daughter imprisoned in the cellar of their very own house, raped and abused her over nearly a quarter of a century, and fathered her seven children – the mere thought of his existence adds a layer of disconcerting reality to Seidl’s protagonists who merrily display and confirm that whatever is happening in some Austrian basements these days, it’s far from the ordinary.